Single license lifetime all access pass to ALL of Pink Oatmeal’s downloadable and digital game resources plus any newly added downloadable or digital game resources. Access to a video library for members and members only products. Everything you need to make gross motor, fine motor, and physical activity easy and fun! Take all the frustration and worry out of searching, planning and creating your activities that incorporate gross motor, fine motor, and physical activity! Scouring the Internet trying to find movement ideas or resources for fine motor, gross motor, or physical activity? Depending on screens for all physical activity and movement for your kids? Difficulty finding FUN activities that can easily implement movement and motor skills seamlessly into your lessons or themes? Kids that need to move and trouble finding creative and fun ways to implement movement throughout the day? More free time and less time looking, planning, and creating appropriate movement and motor skills resources? A place where you can get planning ideas, printable and digital resources, access to videos and you don't ever have to worry about renewing subscriptions or paying again? Easy and fun ways to implement movement and motor skills into lessons, themes or therapy sessions? All of these resources created for you and ready to go with themes, seasons, holidays and more? As a busy mom of three and a pediatric therapist that worked in the school systems, I understand the stress and pressure that comes with wanting to have creative and fun resources that implement motor skills (gross motor and fine motor) as well as physical activity into a child’s day with limited amounts of time. 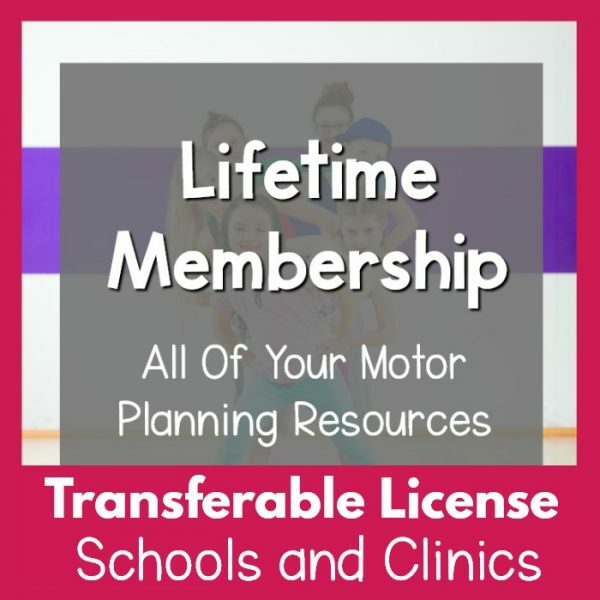 That’s why I’ve created the Pink Oatmeal Lifetime Membership to provide teachers, therapists, daycare providers, parents, and more with resources and MORE. Join me and hundreds of others and take advantage of having everything created for you! Single license access to ALL of the downloadable and digital game resources from Pink Oatmeal in the shop! 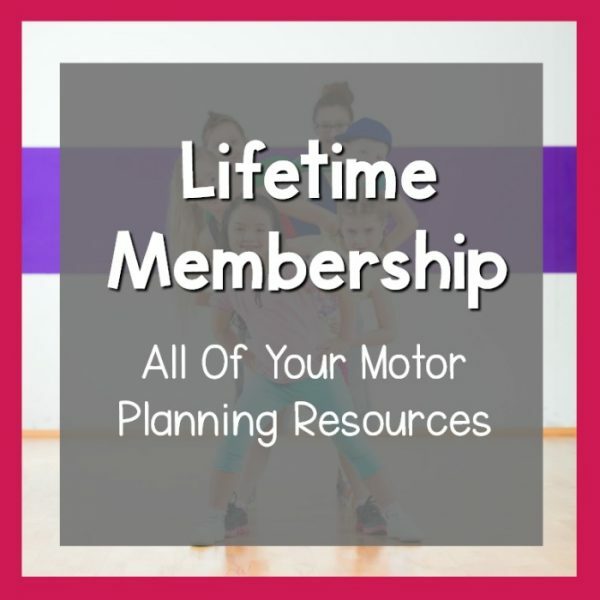 Access to Pink Oatmeal's Video library where you can access tons of movement and motor skills ideas to incorporate into your classroom, daycare, therapy sessions, or home! Bonus resources only available to members that aren't even available for sale in the shop! A hassle-free membership. No worrying about paying again or a subscription renewing. This incredible Won't last forever. Buy now before you can't get it for this price again. With your purchase you will receive IMMEDIATE access to all resources from Pink Oatmeal. An email will land in your inbox with instructions on how to access all your member benefits. Are you part of a group of people who want to get in on the Lifetime Membership option from Pink Oatmeal? Group memberships are available! 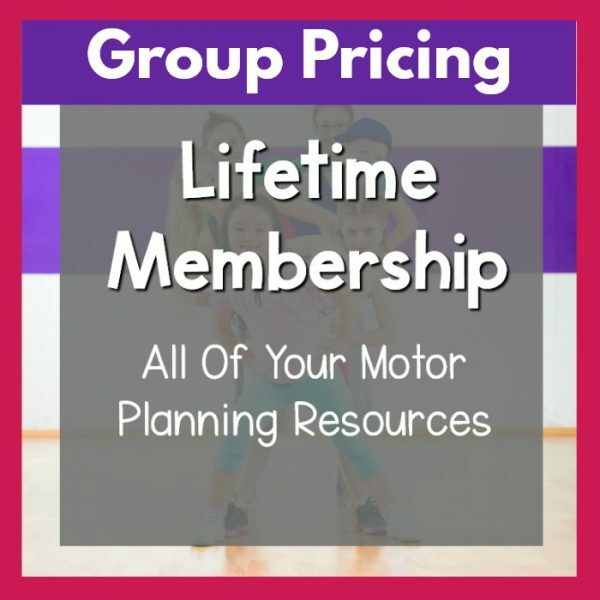 Click here to learn about group membership options for the Lifetime Membership. See the membership FAQ section.